© 1989. Published by Canadian Information Processing Society. 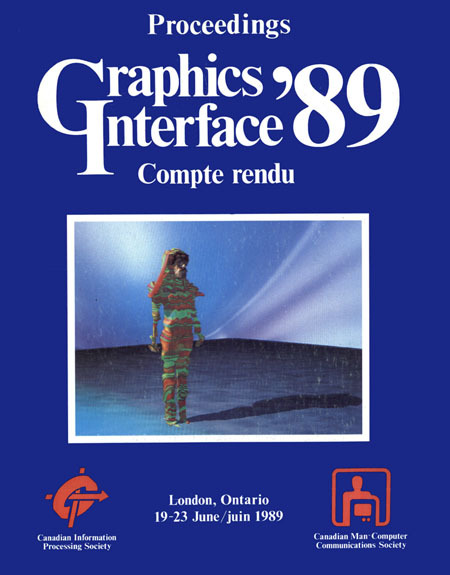 This year Graphics Interface ran concurrently with Vision Interface ’89, sponsored by the Canadian Image Processing and Pattern Recognition Society. The conference program consisted of 34 submitted papers and four invited papers. As part of the conference’s annual tradition an Electronic Theatre presenting computer-generated movies, and a Computer Exhibit displaying advanced graphics equipment and applications software, accompany the Graphics Interface ’89 conference programme.